Convenience: At CTU, you can pursue the education you want without putting your work or personal life on hold. You can attend online classes when and where they fit into your busy schedule. At home, at work, at the library ... wherever there’s an Internet connection. If you live in the Denver or Colorado Springs area you may be able to enroll in a hybrid program, which combines online learning with onsite learning. Variety: Whatever your area of interest, you’ll likely find a degree program to suit your needs at CTU. In fact, we offer more than 100 graduate and undergraduate online degree programs and concentrations. You’ll find degree options at every level — associate’s, bachelor’s, master’s, and doctoral — and in many different fields. Relevance: CTU online courses are taught by faculty who live what they teach. They’re in tune with current trends in their field and incorporate them into the coursework. You’re able to benefit from their first-hand industry knowledge and real-world experiences in their field. Diversity: Our online classes are full of people just like you: stay-at-home parents, mid-level managers, busy executives, empty nesters, single parents, budding entrepreneurs. Here, students come from all walks of life to learn and improve their lives through education. 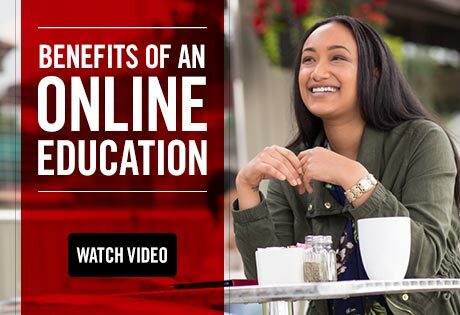 In addition to knowledgeable instructors and a community of like-minded students, CTU’s online university experience includes interactive technology that makes learning accessible for a diverse student body. One of the biggest benefits of attending an online university is that it can be tailored to your lifestyle. Instead of rushing out of the office at the end of the day to attend class or missing dinner with your kids to participate in a study group, you can listen to archived lectures, complete assignments, and communicate with professors and classmates when it’s convenient for you. While CTU offers onsite and hybrid courses at our Aurora (Denver area) or Colorado Springs campuses, an online option is available for many of our programs — so if your needs change over time, you might be able to finish your degree online. 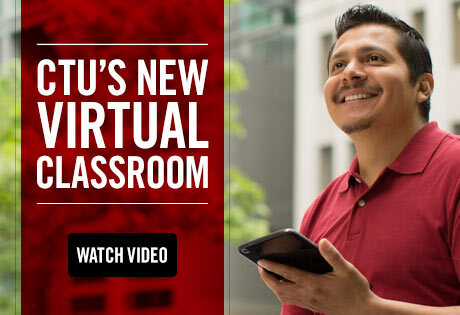 With CTU’s Virtual Classroom you’re never more than a few clicks away from where you want to be. When you log into your Virtual Classroom’s dashboard, you land on your course home page, where you can navigate to all of the following resources. Site Menu: From here, you can get tools that are designed to make staying in touch even easier, including a messenger app, general school contact information, a list of contacts in every department, and a link to trending discussions happening throughout the CTU community. It's all pretty amazing, and, since it's better to experience it than simply read about it, we invite you to take our Virtual Classroom tour. Our online students lead busy lives and need to make the best use of their time and energy. We get it. That’s why we offer several ways to attend classes — online, on campus, or a blend of both. Our digital tools are designed to help you to receive credit for what you already know, access your courses from anywhere, and calculate the cost of your education. And CTU has career service assistance ready to help you when it’s time to apply for an internship or a new job. Intellipath™: Intellipath™ is a CTU proprietary online learning application. It customizes coursework in our online degree programs to suit your knowledge level, letting you skip what you already know and focus on what you need to learn. It does away with the one-size-fits-all approach to education by providing you a personalized learning path. 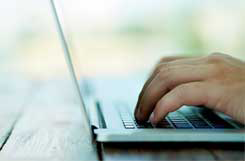 When you take an online course powered by Intellipath™, you benefit from increased control over your class material. You have the opportunity to proactively address learning gaps, and get immediate feedback as you complete your course. This may help you improve your knowledge retention and lead to increased rates of passing grades — so that after you graduate, you’re ready to pursue your career goals. ** The ability to reduce time in school and/or reduce tuition depends on the number of CTU Fast Track™ exams successfully passed. Fast Track program credits are unlikely to transfer. Not all programs are eligible for possible 30% reduction in time and money. Courses eligible subject to change. CTU Mobile: CTU’s mobile app provides the freedom and flexibility that our online degree students want. You get a secure, convenient way to stay connected to instructors and classmates when you’re on the go. Get homework done, receive timely notifications, and manage deadlines — all from the palm of your hand. Financial Aid: Our financial aid advisors can explain all of the available options, including federal and state grants, scholarships, loans and work-study programs, private loans, payment plans, and tuition reimbursement*. Tuition and Graduation Date Calculator: See how Fast Track exams, transfer credits, or a military affiliation may affect your total tuition and graduation date. Net Price Calculator: In just a few minutes, you can get an estimate of the cost to attend CTU, including tuition, fees, other expenses and possible grant aid. Scholarships and Grants: Learn how new and returning students who meet eligibility criteria can take advantage of a number of institutional grants and scholarships. Tuition and Catalog Resources: In just a few clicks, you’ll get access to tuition and catalog information that may help make your education investment easier to understand. Career Development: In a competitive job market, pursuing your professional goals means being persistent and tapping into all your available resources. Colorado Technical University offers career search assistance through tools, resources and connections that could help you pursue these goals. Our Student Success Coaches are available to offer advice, guidance, and direction to students and graduates looking to take control of their careers. *Financial aid is available for those who qualify. University grants or scholarships are based on established criteria as published in the University's catalog and are awarded after verification that the conditions of eligibility have been met. We believe that continuing your education in today's world requires a community effort. That's why we take advantage of current and emerging technologies to help keep you connected to your studies in the some of the most convenient ways possible. At CTU, you can interact with your classmates and instructors in much the same way you already stay in touch with your friends, family, and co-workers. By incorporating chat, email, mobile devices, and popular social networking sites into your online university experience, you can make education an active, engaging part of your everyday life. Facebook: "Like" our page for interactive discussions, informative blogs, university news, and alumni stories. Instagram: Follow ctuniversity for a daily dose of inspiration through photo and video shares. Twitter: Tweet @ CTU and share your student experiences with hashtags like #CTUproud and #CTUstrong. LinkedIn: Connect with students, alumni and faculty via our professional networking group. You can also follow the CTU business page for the latest University alerts. YouTube: CTU’s video channel includes first-hand alumni stories, graduation footage, and behind-the-scenes highlights. Many of the business degree programs offered by Colorado Technical University are also ACBSP accredited. CEO Magazine has been showcasing business schools from around the globe since it first launched in 2008. The magazine added its annual Global MBA Rankings in 2012. In 2017, Colorado Technical University received Tier One North American MBA School and Top Ten Global Online MBA School rankings2. Schools are assessed using a fact-based criteria based upon key, weighted data points such as quality of faculty, accreditation, faculty to student ratio, professional development and more. The rankings include schools from Europe, North America, Australia, New Zealand and the BRICs (Brazil, Russia, India and China). 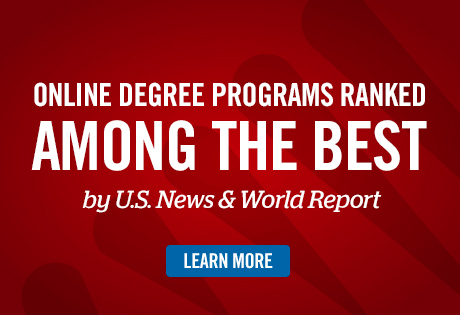 Not all online college degree programs are created equal. As you research your choices, make sure the program you choose is offered by an accredited college. College accreditation may be necessary in your field of study or in the career path you choose. Accreditation is a voluntary process that schools undergo to demonstrate that their college and programs can withstand rigorous evaluation and meet or exceed the standards of an independent accreditation agency. Once you graduate from CTU, you automatically become a member of our collaborative, supportive Alumni Association. The relationships our students form with their professors, CTU staff, and each other should not end after graduation, and we invite you to stay connected to the expanding professional and social network represented by the more than 91,000 degrees awarded since 1965. It's all pretty amazing, and it's better to experience it than simply read about it, so we invite you to experience our Virtual Classroom tour. Does CTU accept transfer credit? What is CTU Fast Track™? What kinds of degrees does CTU offer? How much will my degree program cost? When you're researching higher education, you’ll likely come across the term "accreditation." Accreditation refers to a college or university meeting the evaluation criteria of a review board or organization, which is typically an independent third party. Read more about CTU’s accreditations. Please check individual degree program pages for applicable accreditation information. Yes; CTU accepts many forms of transfer credit that allow incoming students to leverage previous education, job experience, equivalency exams, and more. For students seeking to transfer credit from another college or university, please refer to our transfer credit policies in the University Catalog. Transfer credit is evaluated on an individual basis. Not all credits are eligible to transfer. As with most universities, CTU does have some limits for the amount of transfer credits that can be applied toward a degree. For example, you must complete a minimum of 25% of the total credit hours for any degree program at CTU (associate, bachelor’s, master’s or doctoral level). CTU also offers CTU Fast Track™ exams which allow you to earn college credit for what you already know. By passing multiple Fast Track exams you could save up to 30% in time to graduation and tuition. You may also be eligible for transfer credit if you have military experience or by submitting an Experiential Learning Portfolio. Learn more about CTU’s transfer credit opportunities and policies. CTU Fast Track™ provides the opportunity to earn college credit for what you already know; this program may help you save time and money. Presented as a series of mini modules and exams, Fast Track is designed to evaluate and reward your knowledge of important course concepts. In essence, Fast Track provides you the opportunity to test out of classes by demonstrating your previous experience and skill. There are numerous Fast Track exams available across a wide variety of CTU degree programs. Fast Track is offered at no additional cost, and there is no penalty for an exam that you don’t pass. How can Fast Track save me time and money as a student at CTU? CTU Fast Track™ may help you earn your degree up to 30% faster and reduce tuition costs by up to 30% as well. When you receive a passing score on a Fast Track exam, you earn CTU course credit which means that you don’t have to take that course. Each test takes about 3 – 5 hours to complete; if passed, the credit will be applied toward your degree after 24 hours. Can I take Fast Track exams if I am attending CTU as a part-time student? Fast Track is available to all students enrolled in eligible CTU degree programs. To see if there are Fast Track exams for your degree program, contact an Admission Advisor or Success Coach. Read more about CTU Fast Track™. Each area of study contains multiple degree programs, many of which have areas of concentration. Degree programs are available at the associate, bachelor, master, and doctoral levels, depending on the chosen program. Many programs are offered both online and at one of CTU’s campuses. View the complete listing of degree programs available at CTU. There are many potential factors at play because CTU offers a personalized approach to learning. The best way to determine the exact length of time it will take to earn your degree is to start the conversation with an Admission Advisor. If you’re looking for a general idea of how long it takes to earn a degree at CTU, try using our Tuition and Graduation Date Calculator. Because CTU focuses on providing a personalized learning experience, there are many different paths to attaining a degree. Thankfully, CTU has a team of experienced professionals dedicated to helping you choose the path for your needs, including Admissions Advisors, Financial Aid Advisors, Prior Learning Assessment advisors, and more. One way to learn more about the tuition for your degree is to speak with an Admissions Advisor. If you’re looking for a quick estimate, try our Tuition and Graduation Date Calculator. The information below represents standard per-credit-hour tuition rates for CTU degree programs available online and at our campuses. The admissions process can seem daunting, but at CTU we provide you with helpful instructions and guidance to help you to the next level. You’ve worked hard in your past courses at other institutions. CTU will work with you to help transfer your credits toward the completion of a degree. 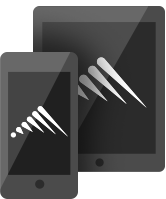 Access your course information, grades, assignments, student finance and accounts, on any device. Engage with interactive discussion boards and dynamic presentations and correspond with instructors and peers to further enhance your online learning. We have created an easy-to-use calculator that can help you get a quick estimate of the financial aid you may be eligible to receive based on your unique circumstances. Colorado Technical University strives to make it as affordable as possible for you to achieve your academic goals. Visit our Financial Aid section for more information. The CTU PLM™ places students in the active role of collaborative problem-solvers and project initiators, engaging you in complex, real-world situations and challenging you to organize, research and solve problems. What is accreditation? What kind of accreditation does CTU have? Read more about CTU’s accreditations..
View the complete listing of degrees available at CTU. Because CTU focuses on providing a personalized learning experience, there are many different paths to attaining a degree. Thankfully, CTU has a team of experienced professionals dedicated to helping you choose the path for your needs, including Admissions Advisors, Financial Aid Advisors, Prior Learning Assessment advisors , and more.